At 5 years old, this fluffy white dog named Kato isn't quite as spry and nimble as he once was as a puppy. As is often the case in adulthood, his body has begun to betray his youthful ambitions. 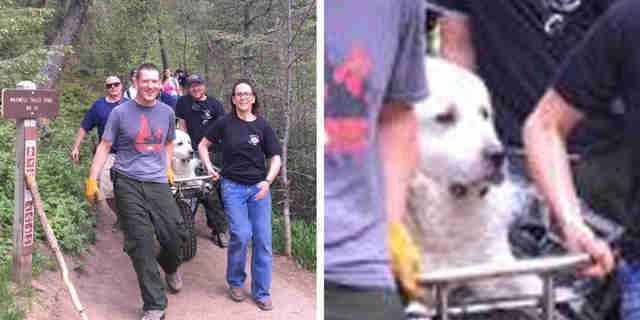 That's a reality the 120-pound Great Pyrenees recently learned the hard way during an outing in Colorado. Thankfully, Kato's friends knew what to do next. 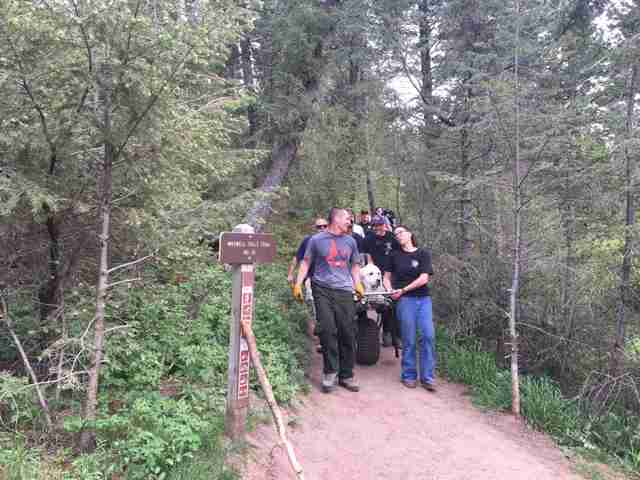 They called Evergreen Fire Rescue for help, and before long a group of volunteers arrived with a stretcher to carry the dog to safety. To make matters worse, people later posted about Kato's hiking fail online. Now, he'll never live this down. Hopefully, Kato's little ordeal on the trail that day has taught him and his owners to take it easier next time around — but it's nice knowing that rescuers will be there again just in case he needs it. "We choose to help animals," Evergreen Fire Rescue spokesperson Stacee Martin told 9News. "Doesn't matter if it's a horse stuck in the mud, owls that fall out of the nest ... this is something that the community supports."